Color: White with blue detailing. 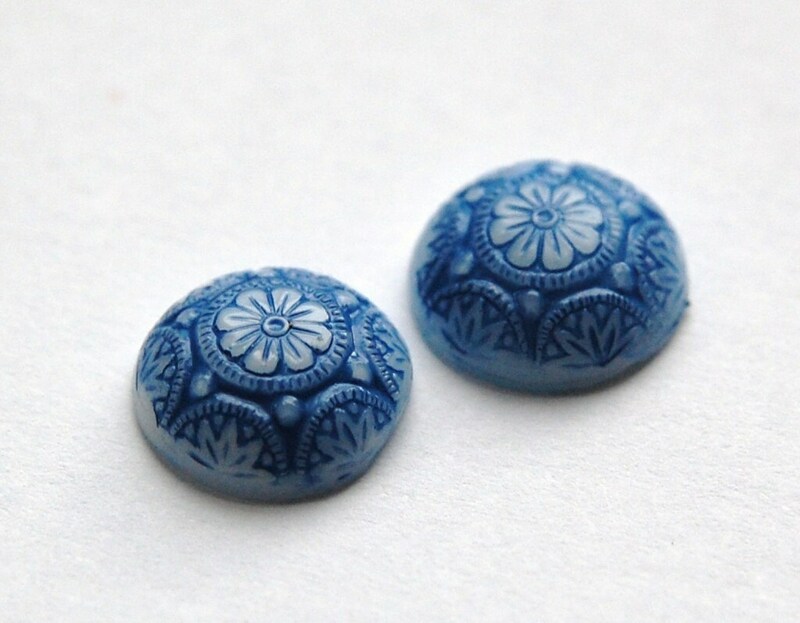 One of my most popular color of these cabs used in earrings. 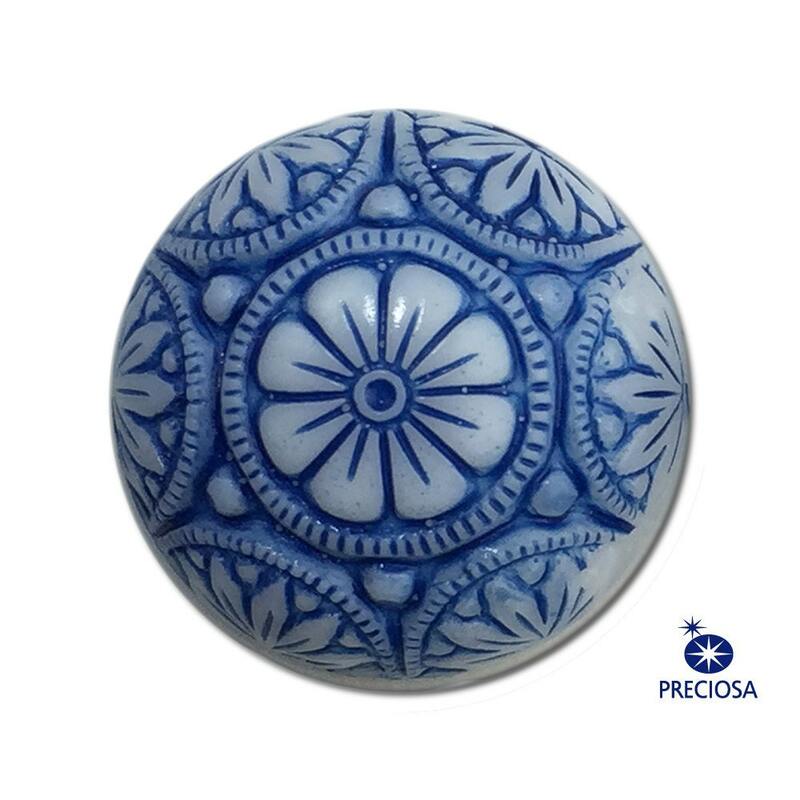 These look like Delft-Dutch blue and white ceramics. They are especially popular when sold in summer markets. 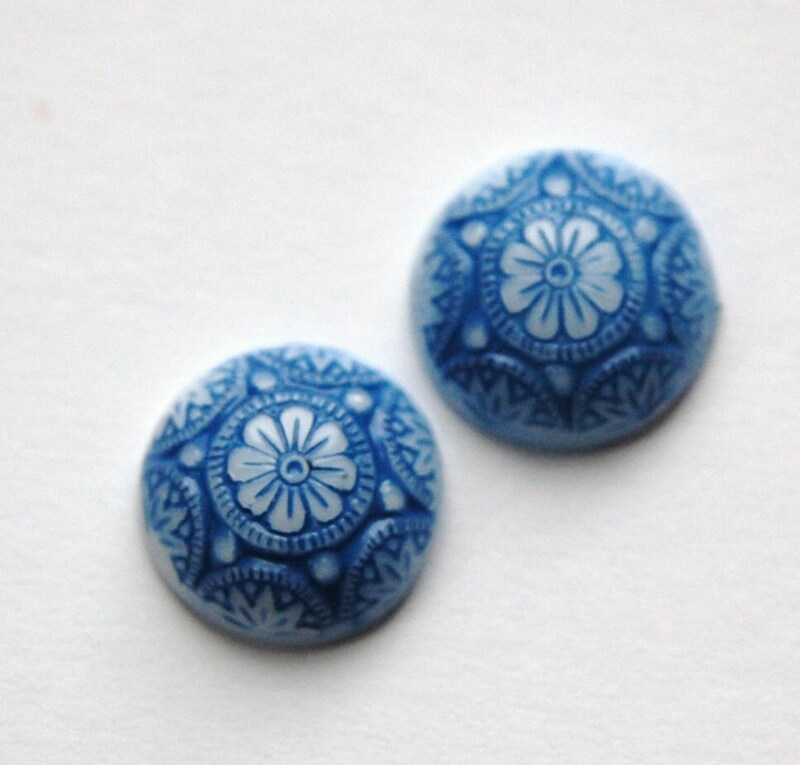 Buying more because I sold all the jewelry I made previously with these cabs from Yummy Treasure. They have great design, color and texture.